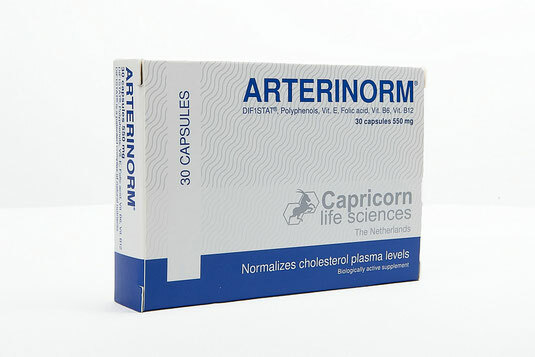 ARTERINORM - De website van capricornlifesciences! ARTERINORM is a food supplement containing a complex of natural substances which are beneficial for the physiological control of cholesterol plasma levels. The efficacy of this product is documented in several published clinical trials.